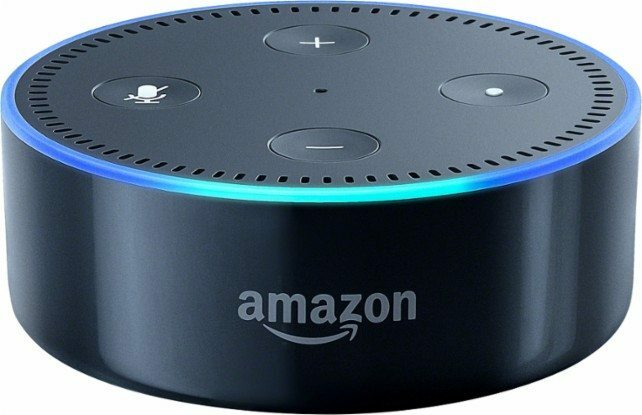 Being Mr. Gizmo, Denis bought three of those Amazon Echo Dot thingies, which means "Alexa" is listening to every word we say in three rooms of the house. One of the jobs I had for several years involved working in a vault where I was on camera(s) the entire time I was in there. I became accustomed to not scratching my nose or adjusting my underwear while in there, and it was always a relief to come home where I wasn't being monitored constantly. Now I have some sort of security cameras watching me move about the house, and Alexa is listening in to what is being said. Not ideal, but I dearly love my Mr. Gizmo, so I put up with it. Alexa evidently thinks I'm a big snooze as company in the evening, so occasionally she likes to spice things up. I’ve gotten used to her dialing up country music for me unasked, and there are other ways she’s tried to insert herself into my evenings of TV and knitting, but last night took the cake. I’ve been watching “Harlan Coben’s The Five” on Netflix, and last night they were searching frantically for a girl named...ALEXA! One scene had them shouting her name over and over and over. That’s the first time I’ve heard Alexa splutter. I actually think she was on the verge of a meltdown! Oh oh! I almost forgot about those links out in the corral. Hang on, Alexa-- I'll be back. Head 'em up! Moooooooooove 'em out! What your zodiac sign says about which famous author you need to be reading. How to tell someone's age when all you know is their first name. An unsent letter written by a passenger aboard the Titanic has set an auction record. Experts say that the official cause of Pablo Neruda's death does not reflect reality. The wartime origins of the M&M. These two brains both belong to three-year-olds, so why is one so much bigger? The reason is sobering. The fall of ancient Egypt has been tied to massive volcanic eruptions. Here's another article about it from the Smithsonian Magazine. Art detectives probe what lies beneath a painting by Fragonard. An ancient Greek monument discovered in an inexplicably abandoned settlement baffles archaeologists with a 2,200-year-old mystery. The story behind that 2,000-year-old Thracian chariot you saw on Reddit. Hundreds of mysterious ancient stone structures have been discovered on lava domes in Saudi Arabia. Biblical Roman stables have been discovered in an area in Israel where Jesus lived and preached. Everyone wanted to pet Octavia, and once you've read this article, your thinking may be completely changed about this wonderful creature. Val McDermid's list of five favorite crime books is a good'un! How the twenty-five greatest stories ever told would be ruined by technology. Eleven of the best Shirley Jackson books. Great books for every kind of commute. Twenty-one Lincoln in the Bardo quotes that prove this is a baffling, beautiful novel. I had to laugh at your description of what happened to Alexa, Cathy! How funny! Well, technology drives us to the brink sometimes, so I suppose it's turnabout when we do the same to it. ;-) Now, if you'll excuse me, there's a Greek statue waiting for me. Alexa has turned into rather amusing entertainment. I'll be sharing more Tales of Alexa in the future! Omigosh! Alexa is in three rooms, invading your privacy. Why is this? I wouldn't want it, especially because I mutter and sometimes yell at the TV during political reports and panels. Nope, what goes on my house stays here. 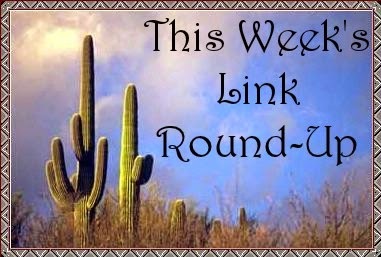 Good links. Maybe you will outsmart Alexa ... I bet on you. Mr. Gizmo likes his gizmos, and I do appreciate the vote of confidence!